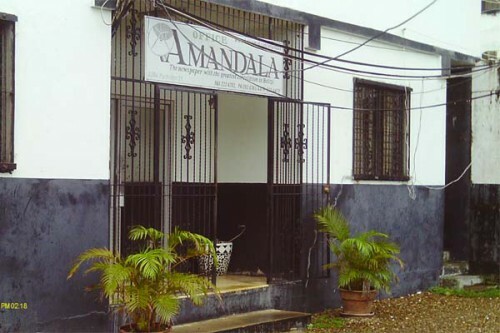 The Amandala, which has been aptly dubbed “The newspaper with the widest circulation in Belize”, celebrated its 44th anniversary this past Tuesday, August 13, 2013. The newspaper was first published in Belize in 1969 as an organ of the United Black Association for Development (UBAD) movement. It started out as a simple stenciled spreadsheet that was usually distributed by members and supporters of UBAD in Belize City streets. The newspaper’s first issues were mainly dedicated to promoting the affairs of UBAD, such as protests, celebrations and meetings in addition to featuring articles on issues of national interest combined with criticism of the then ruling political party and its leader. The Amandala has battled fierce competition and withstood adversity almost since its inception. For example, the newspaper’s first primary competitor was established by leaders of the then Chamber of Commerce who had the latest printing technology available at their disposal at the time, while the Amandala relied on rudimentary facilities and was funded mainly by grassroots contributions. Still, the journey of growth, as slow and rough as it might have been, was, in a sense, inevitable. The newspaper steadily established a reputation as a voice for the people at the bottom of the socio-economic ladder by speaking truth to power; thus gaining the support of Belizeans far and wide. Since then, the resilient newspaper has prospered through many challenges to become the only newspaper that is printed twice weekly — an achievement of which the organization is truly proud. Amandala spoke to assistant editor Adele Ramos, who has been a stalwart at the newspaper, to see what it means for Amandala to reach this milestone. She said that she created a profile page for the newspaper on the social network known as “Linked In” because the newspaper did not previously have a presence on the network. “We started out as a single sheet, which when compared to a newsletter today, a newsletter would be leads ahead, and so to see that Amandala has become — the leading newspaper in the country, is something strong; 44 years I think is a major achievement,” she stated.